ZAP! POW! 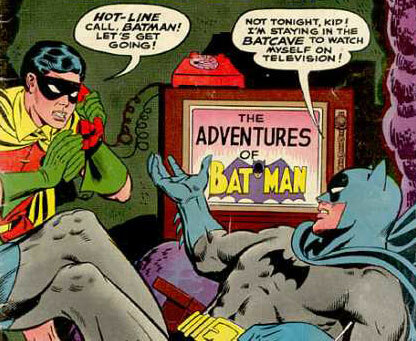 The Batman TV show became famous for its “comic book” fight sound effects. Odd, though… before the show began, punches in Batman comics were silent! So where’d the show get the idea for noisy punches? We ponder this question after reading many ‘60s Batman comics, and also explore the changes of “New Look Batman” in 1964; determine what the show borrowed from the comics —and what the comics borrowed from the show; discuss whether the TV show is what saved the character (our verdict: nope! ); and more.